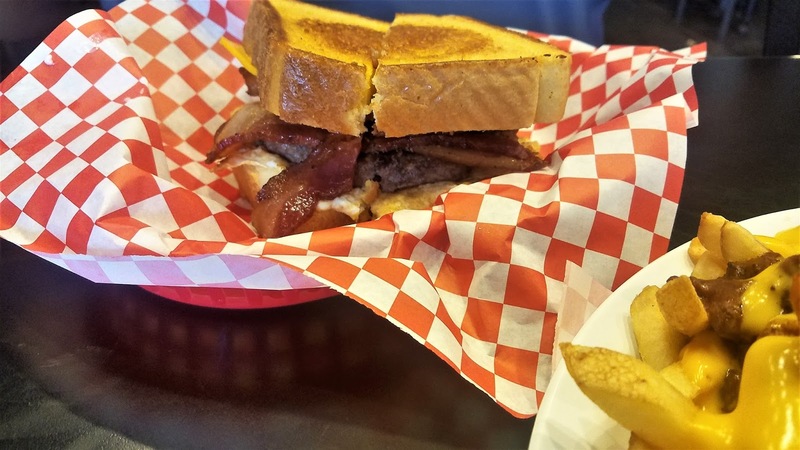 Lumpy's Diner is cool in an acquired taste kind of way. 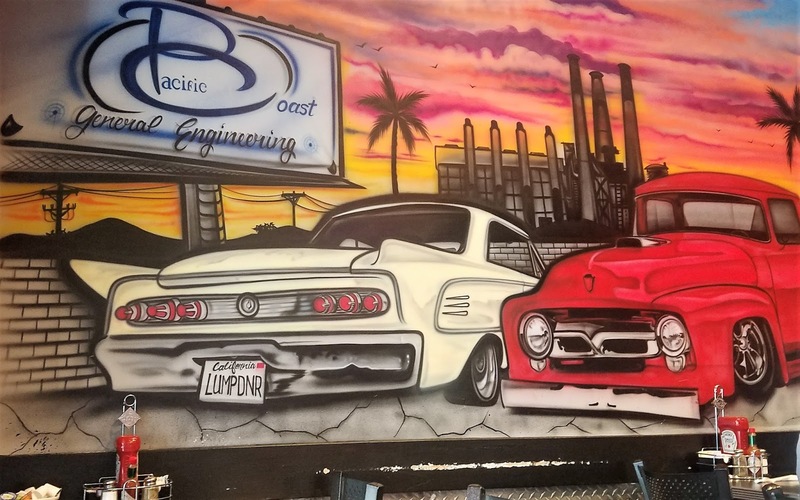 I will admit, though, that it was kind of hard to not stereotype the place given the graffiti-inspired artwork and some tatted up gang banger looking customers. But I am sure that that was the effect that they want to achieve and they did it successfully! 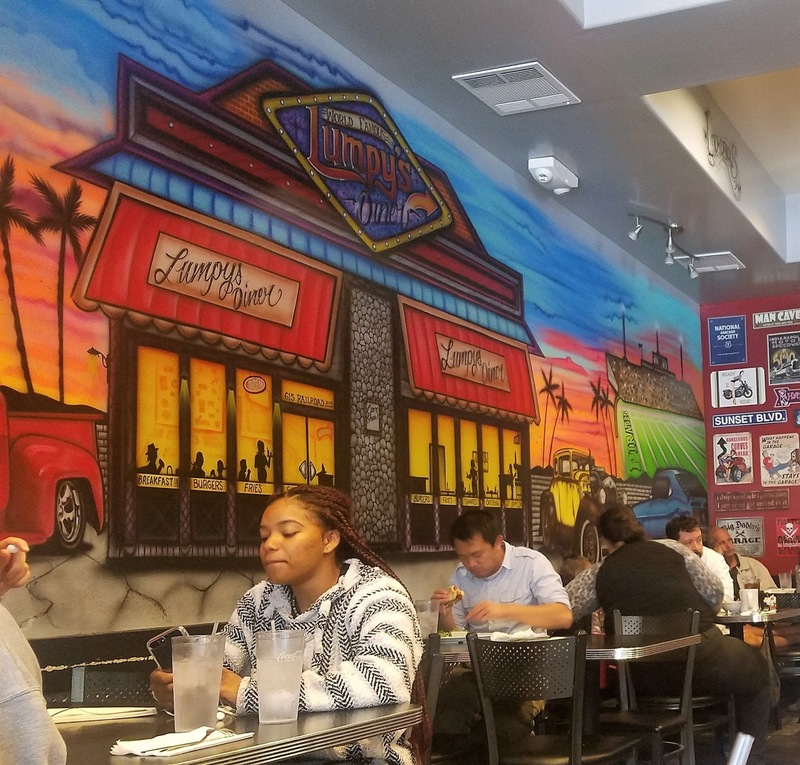 I also found out while writing this post that Lumpy's has been featured on Food Network's Outrageous Food. I haven't seen it but Lumpy's 6-pound Kitchen Sink omelet and the Famous Dog Pounder, a monstrous 4-pound beef hamburger were featured. Pittsburg, CA is not a destination place. It is a suburb an hour outside of San Francisco. So how did we end up here? We have a second home in this city. Even though it has been bought about 3 years ago, we are just discovering this town because we do not live here. Mr Sweetie and I work in Silicon Valley and San Francisco, respectively, and are both city dwellers. Just don't ask why 1) we have a second home and 2) in Pittsburg! We are happy, though, to have our suburban house that feels like a vacation just less than an hour away. Lumpy's was just fine. Just like with many tough (sometimes) intimidating looking folks (sorry! ), it was really just like any other diner. We even struck up a conversation with one of the gang-banging looking couple. They were super-nice. Please forgive me for being judgemental but there were people who were taking selfies while wielding gang signs! So we ended up here because I wanted to go to the Pumpkin Patch after the original plan of attending our church's Fall Harvest Festival fell through. (Read: My sister flaked on us and decided to go to San Francisco, instead! We are friends again as sisters kiss and make up after sisterly fights.) To cheer me up, Mr Sweetie took me here to eat before going to the pumpkin patch. A total nice gesture to stuff my sad face because it often works almost all the time. Well, except this time because I did not choose well. 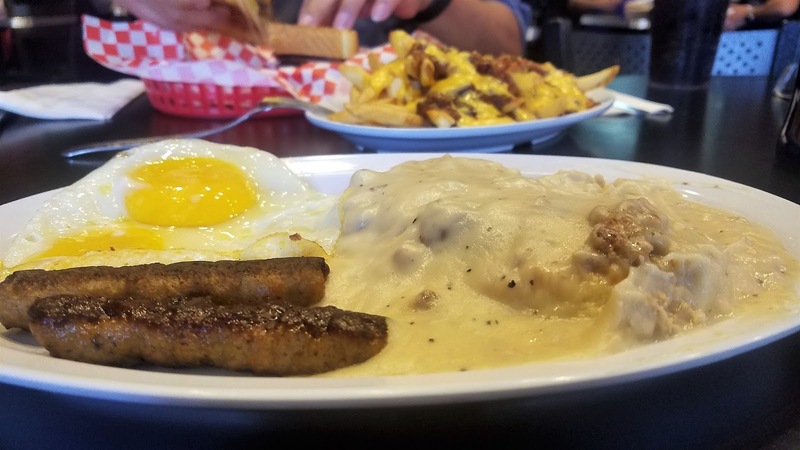 I ordered a biscuit and gravy with sausage, and a side of buttered toast. It was very sloppy although the taste was okay. I really wanted pancakes or waffles but this diner stops serving pancakes and waffles at noon on a Sunday! Sheer disappointment! Sunday brunch is for eating pancakes at 2 pm! Mr Sweetie fared better. 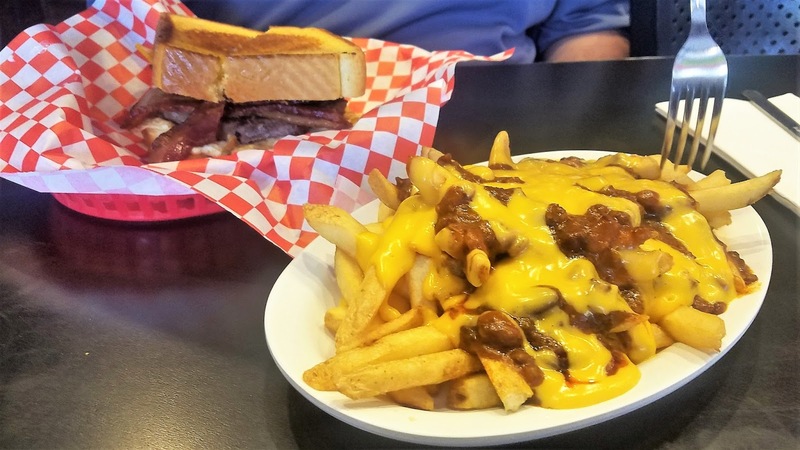 He ordered Lumpy's burger that came with bacon and egg, and a side of chili fries. They looked good and he said that they were good. 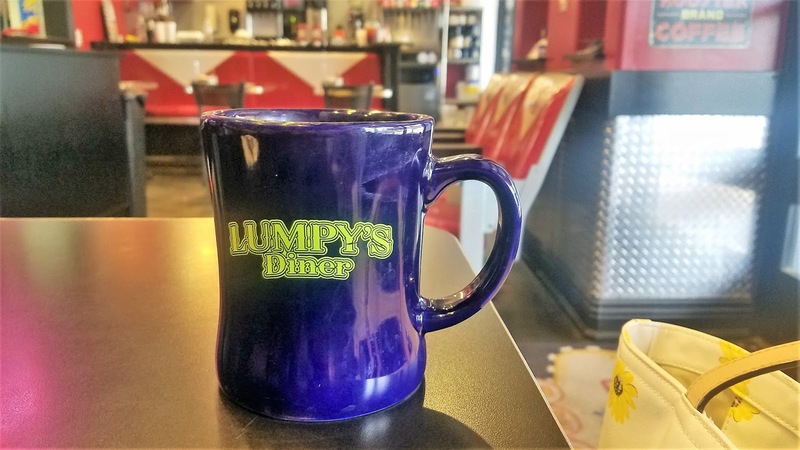 As disappointed as I was with brunch, I do not mind going back to eat at Lumpy's again. I will just order something else. 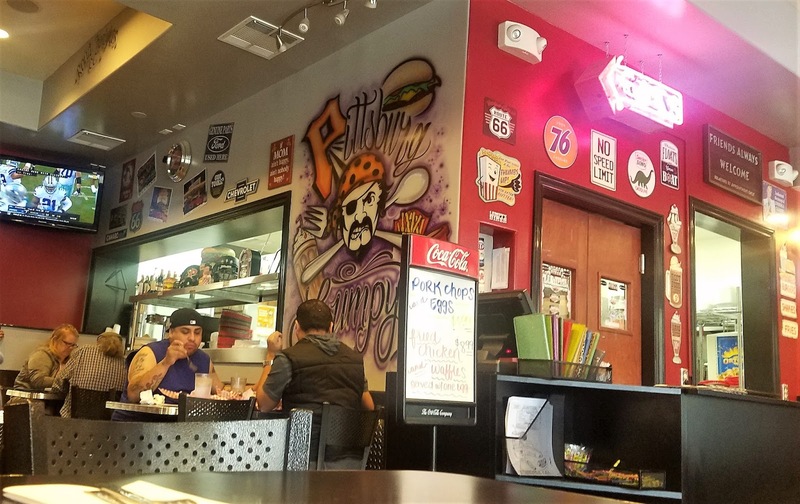 The place was cool, the food seems to be good (just not mine), and it was very reasonable. Our total tab with coffee and soda after taxes and with 20 percent tip was $37. Not bad at all. Oh, and a big plus -- it is by the waterfront which we have yet to explore next time. So if you ever find yourself in this non-destination city, check out Lumpy's. Do you have a favorite brunch date destination?